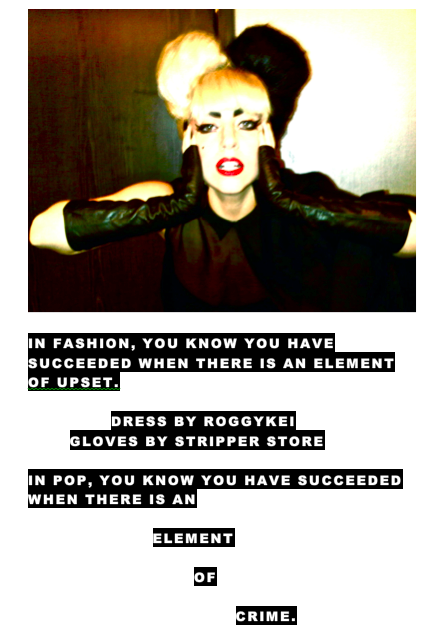 Lady Gaga started her own blog, Amen Fashion! Guaranteed I'm be keeping a firm eye on this one! Her 'element of surprise' take on fashion has me enthralled every time. Here's her blogging life in pictures so far.